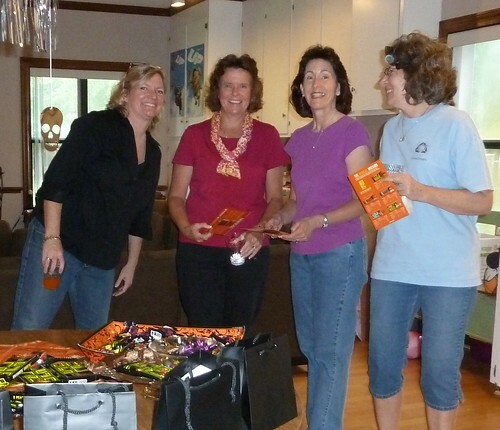 Want to know how to get your friends and family to stop by? Tell them you're having a candy tasting. That's right, Candy Tasting. 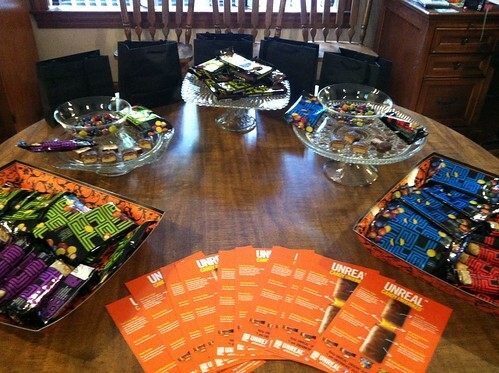 Last weekend I was thrilled to host a candy tasting for Unreal Candy. If you haven't heard about Unreal, get ready to. They actually have a mission with their candy. "We believe that all junk food can be made differently, with better ingredients, without the junk, with great taste, and at the same price." I don't know about you, but when I hear that something is "all-natural," or "healthier" I become wary. The six year old inside of me thinks there is no way it can taste anything close to the alternative. Unreal candy is, well, unreal. All of the candies are tasty and healthier than the leading brand. It was fun to hear what my friends had to say about Unreal. Some of us are of a certain age, and the fiber and protein benefits from Unreal are almost too good to be true. We still want to treat ourselves and our families occasionally. It's incredible to have a "healthier" candy. One of my friends works with law enforcement trainees. She was taking some candy back for them to try because they have to count every calorie while they are training. Candy with protein? BONUS!! If you want to learn more about Unreal, including where you can purchase it, please check out their website Get Unreal, their Facebook page, or their YouTube channel. I was sent candy samples from Unreal for the tasting and compensated by Global Influence for this post. All opinions remain firmly mine.